. 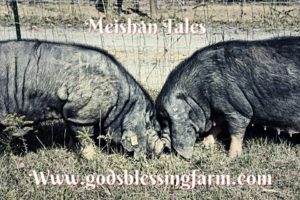 Why Pure Meishan Pigs from Gods Blessing farm? 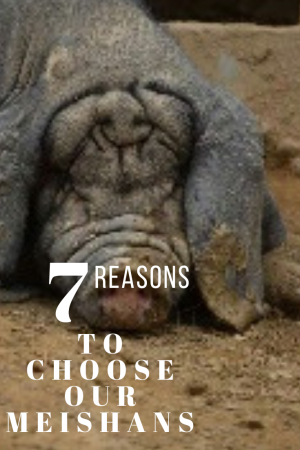 Because experience , outstanding bloodlines,support and breeding goals are the cornerstone of any reputable breeder. And here at Gods Blessing farm we offer all of those. 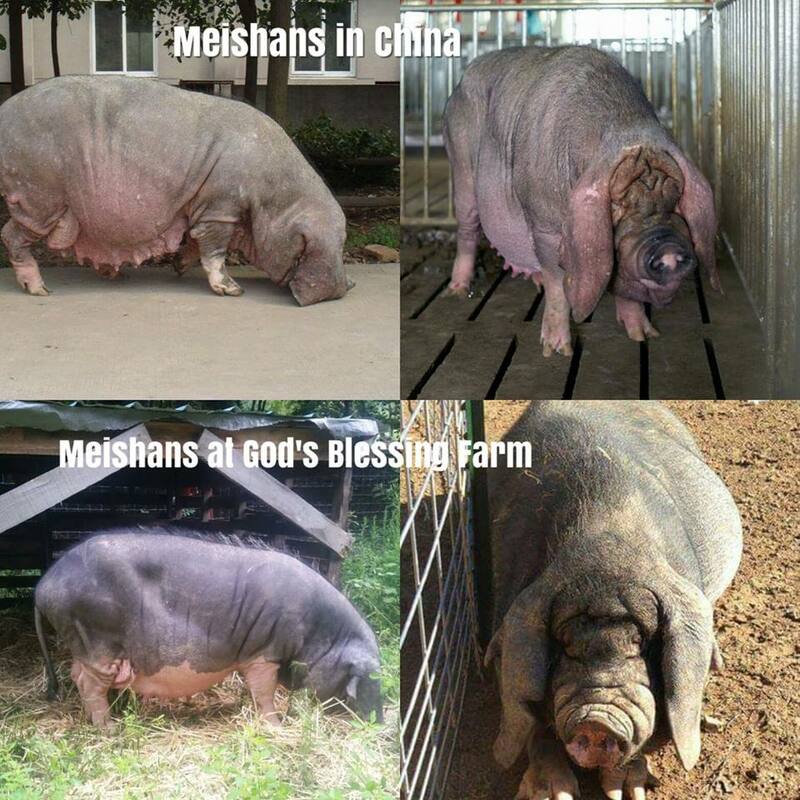 This is why Gods Blessing Farm is proud to offer the finest Meishan breeding stock in North America. How can we make that statement? 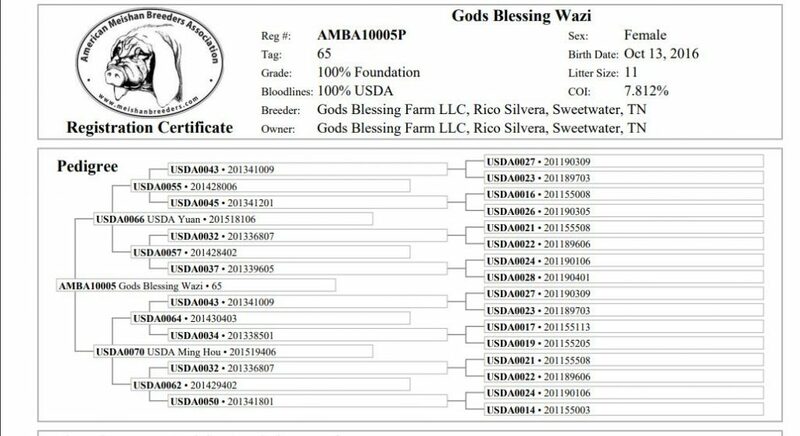 All of our intact breeding stock is sold with a pedigree from the American Meishan Breeders Association. 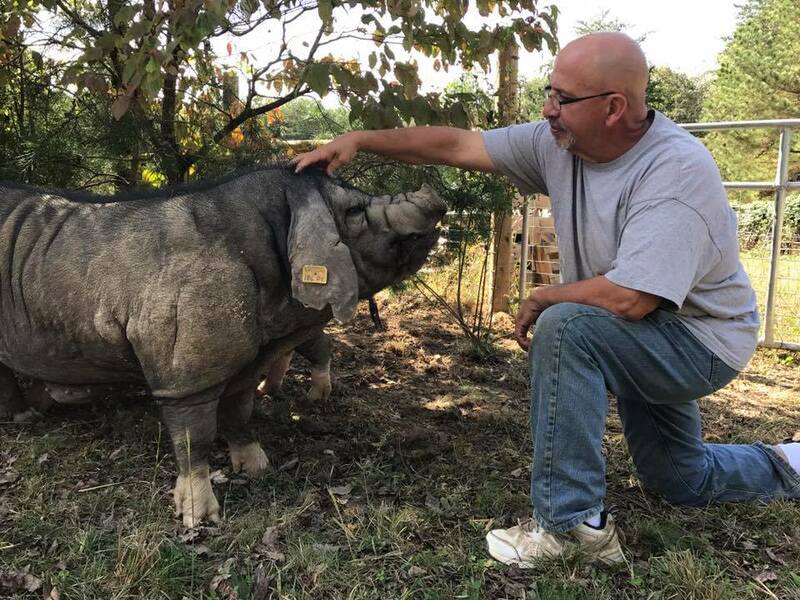 Because these pedigrees are not just confirmation of purity but show enough ancestral history to provide our customers with the COI of each pig we sell. The A.M.B.A. is the only registry for Meishan Pigs recognized by the Livestock Conservancy. And the A.M.B.A. has the only on-line pedigree database for the Meishan Breed. In addition we can calculate the COI of the piglets your breeding pairs and trios will produce. We can do this using the A.M.B.A. Breeding Analysis Tool. 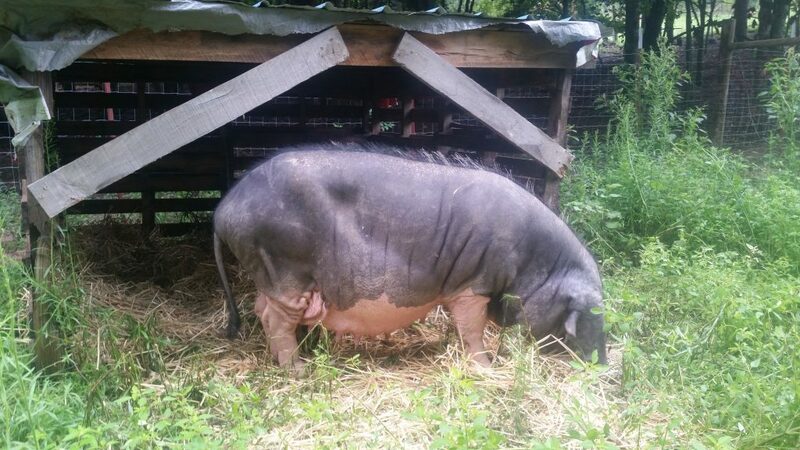 Over the past three breeding seasons we have bred 20 litters of over 200 piglets. However less than 33% of all piglets farrowed through these breedings were sold or retained as intact breeding stock. That makes us the largest breeder of Meishans in North America over that period. In fact we have CULLED more Meishans than any other breeder has bred in that time.This experience and data has given us unique insights in breeding the three lines and data that no other breeder has. We continue to add to that knowledge base with evrey successive breeding. 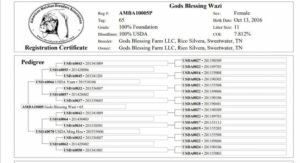 Our Gods Blessing herd name has formed the basis of Meishan herds in these states TN,KY,IN,IL,OH,MI,WI,MT,WA,TX,SC,GA,FL,NJ ,NY,ME,MO,ID,IA and NE. And our customers are reporting outstanding prolificacy from the breeding pairs we handpicked for them. To date all of our customers report 100% settling rates, first parity(first time) litters with average double digit numbers of live birthed piglets. Our breeding stock produces sows with outstanding mothering capabilities. Resulting in superior farrowing to weaning ratios.. The three highest first parity litter counts to date being 16,15 and 15. Our customers enjoy access to our experience and our knowledge base.We have compiled the largest privately held database of scientific study on the Meishan Breed. 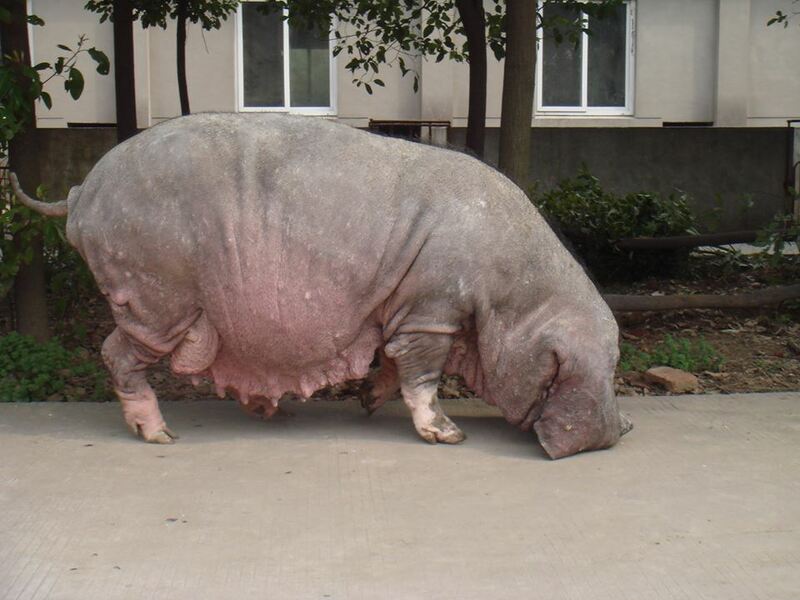 This database includes a rare copy of the 1990 French Symposium on Chinese pigs. 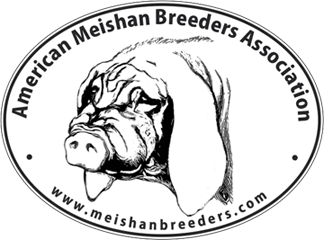 In addition in October 2018 we started a Farm Newsletter “Meishan Tales” to keep our customers and potential customers up to speed with any advances we make with the breed.We invite you to click on the image below to become a subscriber to our breed newsletter. If you do will will give you a coupon for a free trial Membership in the A.M.B.A. We are proud to be founding members of the A.M.B.A. In addition we are members of the Livestock Conservancy. .We have hosted the Conservancy here on our farm while they were researching the Meishan breed. 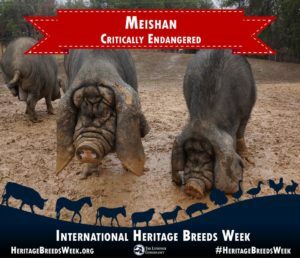 That trip led directly to the Conservancy declaring pure Meishan Pigs critically endangered.Gods Blessing Farm was proud to work with the Conservancy on identifying reliable sources within China to establish population estimates of verifiably pure Meishans world wide. We worked directly with the Conservancy to help them develop an accurate breed description. 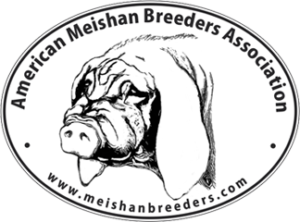 All Meishan Breeders or potential breeders are encouraged to join both organizations. 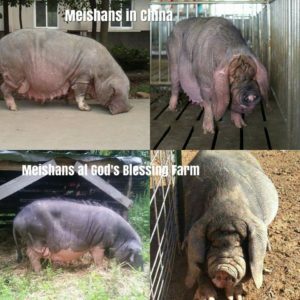 And we also invite you to become an owner of Pure Meishan pigs from Gods Blessing Farm.